Following a 30% increase in visitors to its mobile users website over the last 12 months, Manchester based event management company, the Taylor Lynn Corporation (TLC), has invested in a brand new version of its website dedicated specifically to clients using the latest in mobile technology. The new site focuses primarily on the extensive galleries of professional photography taken at TLC’s events with the use of smooth flow images, and with text kept to a minimum the site also maximises the image size on screen to enhance the viewers experience. With the use of jquery flexislider technology, TLC has added the option of touch screen swipe and zoom features which are common on all today’s smart phones and tablets. ‘Our initial mobile user website has proven far more popular than we envisaged, with nearly one third of all of our web traffic now coming through the site’ commented TLC managing director Liz Taylor Liz added: ‘I realised that these were users that would not have been able to view the main TLC site on their I-­‐pads or Blackberry, so we were reaching a completely new online audience. It also became clear that the mobile site was being used equally by busy corporate and high-­‐end private clients to look at the styling and creative elements that we offer in our events, so we needed to ensure that they had the best possible view of our image galleries. With headquarters in Old Trafford, Manchester, TLC works with top corporate and celebrity names to stage spectacular business and private events across the UK & Europe. The company’s client portfolio includes leading blue chip, charity, sports and media businesses such as ITV Granada, UEFA, Minster Law, JD Williams, BBC Children in Need, BGL and Manchester United FC. TLC was also appointed as the official event’s organiser of the Coronation Street 50th anniversary celebrations and is a leading event’s organiser to the stars with clients such as X Factor judge Gary Barlow, retail guru Mary Portas, television presenters Eamonn Holmes and Ruth Langsford, stars from Manchester City FC and Manchester United FC, and a host of Coronation Street actors.
! The Taylor Lynn Corporation (TLC) has its UK headquarters in Manchester and organises corporate and private events right across Europe. From blue chip businesses to sports personalities and television celebrities, TLC is the first choice for high profile parties, celebrations, conferences and corporate occasions. 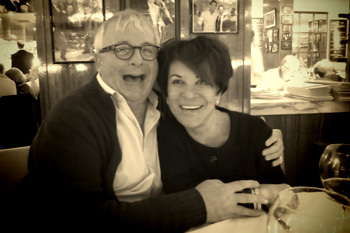 We may never know what tickled Christopher Biggins fancy! But what we do know is that this meeting with Liz Taylor was both memorable and one of the most fun events this year. Welcome to the Taylor Lynn Corporation (TLC) online press room where you will find a selection of press releases, media articles, the latest news and our image library. TLC is one of the leading event organisers in the UK with an enviable depth of event experience and creativity. With headquarters in Manchester, the company works across Europe specialising in high quality corporate event management, product launches and conference or incentive event planning, and is also one of the countries most high profile wedding planners, party organisers and special event consultants.